Let us cater your next party or business event. We’re located at: 6100 Washington Avenue – Racine, WI. 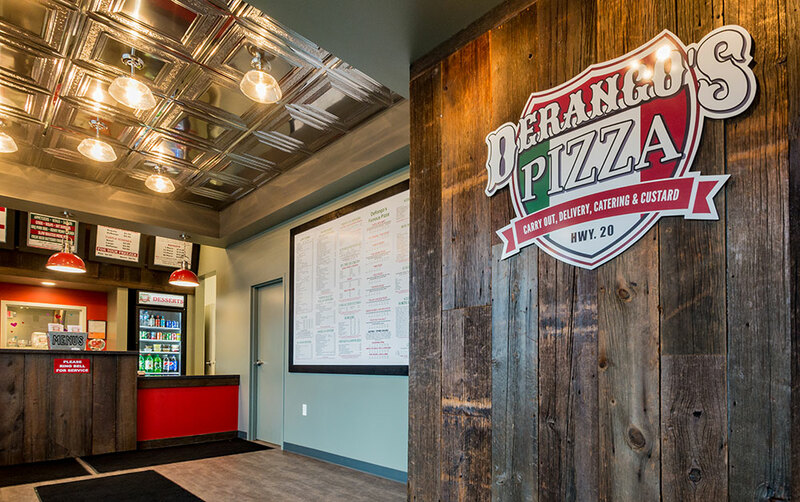 Voted the #1 pizza in Racine, DeRango’s Pizza caters to your busy lifestyle with a carry-out and delivery menu. We also offer a combination and catering menu. Please feel free to browse our menu on this website and call in an order. Your order will be prepared with the freshest ingredients and will be delivered or ready for carry out piping hot. If you have any questions, please feel free to contact us at 262-886-6666.